Seat, bracket, compartment, covers, extension, and frame. 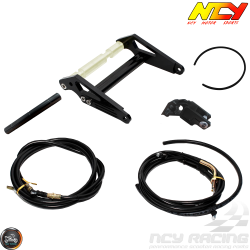 Description: Stiffen up your chassis with the NCY Honda Ruckus/Zoomer Footrest Brace kit. This kit includes folding foot pegs for a more comfortable ride. Available in chrome and white.Specifications:• Black Foot Rest• Silver Foot PegsSupported Models: Honda .. 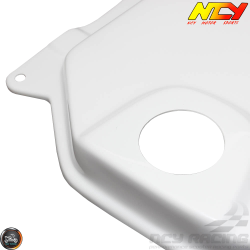 Description: Stiffen up your chassis with the NCY Honda Ruckus/Zoomer Footrest Brace kit. This kit includes folding foot pegs for a more comfortable ride. Available also in black and white.Specifications:• Chrome Foot Rest• Silver Foot PegsSupported Models:.. 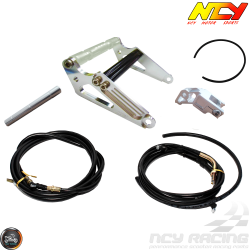 Description: Stiffen up your chassis with the NCY Honda Ruckus/Zoomer Footrest Brace kit. This kit includes folding foot pegs for a more comfortable ride. Available also in black and chrome.Specifications:• White Foot Rest• Silver Foot PegsSupported Models: Honda.. 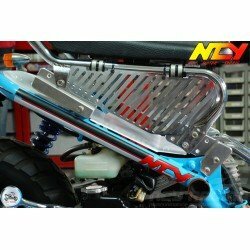 Description: Stretch the rear end of your Honda Ruckus / Zoomer 6.5 inches with the NCY Billet Aluminum Frame Extension Kit! This can only be described as the cleanest Frame Extension kit on the market to date. We went out of our way to design an extension kit that flows with the form of the Honda R.. 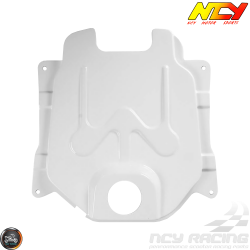 Description: Give your Honda Ruckus a custom look with this NCY gas tank cover. Covers up your stock gas tank when stock floorboard is removed. 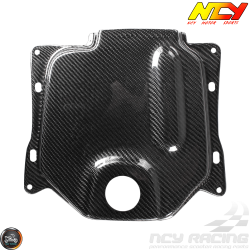 Also available in carbon fiber, chrome, and white.Specifications:• Black ColorSupported Models: Honda Ruckus-----Item Weight & P.. 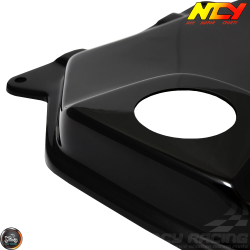 Description: The NCY carbon fiber gas tank cover for Honda Ruckus gives your scooter a high end and indestructible look. Covers up your stock gas tank when stock floorboard is removed. 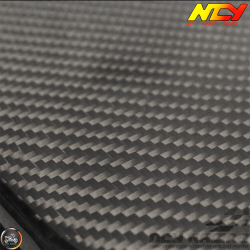 Also available in black, chrome, and white.Specifications:• Carbon Fiber Gas Tank Cover (It.. 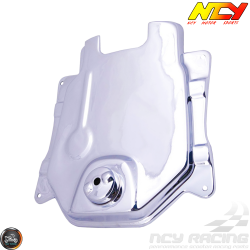 Description: Give your Honda Ruckus a custom look with this NCY gas tank cover. Covers up your stock gas tank when stock floorboard is removed. Also available in black, carbon fiber, and white.NOTE: Secondary picture may show black color its really silver chrome reflective.Specifications:•&nbs.. 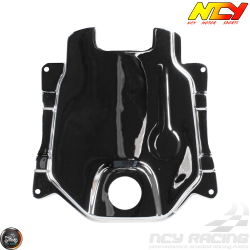 Description: Give your Honda Ruckus a custom look with this NCY gas tank cover. Covers up your stock gas tank when stock floorboard is removed. 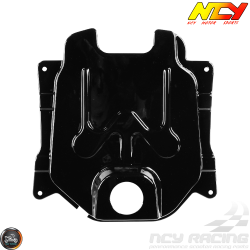 Also available in black, carbon fiber, and chrome.Specifications:• White ColorSupported Models: Honda Ruckus-----Item Weight & P.. 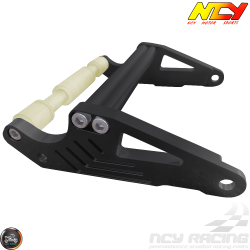 Description: Move your seat further back for a more comfortable riding position with this NCY adjustable seat bracket kit.NOTE: Images illustrated with NCY Seat Frame Lowered Chrome (Part# 0400-1004) is optional and sold separately.Specifications:• Adjust seat back 4cm, 7cm or 10cm.. Description: This frame is made of light-weight moly tubing for a strong finish. Your Ruckus seat will be lowered by 80mm. Mounts with existing hardware to your scooter. Also available in gloss white, hammered white, gloss black, and hammered black.Specifications:• Color: Chrome•&n.. Description: This frame is made of light-weight moly tubing for a strong finish. Your Ruckus seat will be lowered by 80mm. Mounts with existing hardware to your scooter. Also available in chrome, hammered black, gloss white, and hammered white.Specifications:• Color: Gloss Black•&n.. Description: This frame is made of light-weight moly tubing for a strong finish. Your Ruckus seat will be lowered by 80mm. Mounts with existing hardware to your scooter. Also available in chrome, gloss black, hammered black, and hammered white.Specifications:• Color: Gloss White•&n.. Description: This frame is made of light-weight moly tubing for a strong finish. Your Ruckus seat will be lowered by 80mm. Mounts with existing hardware to your scooter. Also available in chrome, gloss black, gloss white, and hammered white.Specifications:• Color: Hammered Black•&n.. Description: This frame is made of light-weight moly tubing for a strong finish. Your Ruckus seat will be lowered by 80mm. Mounts with existing hardware to your scooter. Also available in chrome, gloss black, hammered black, and gloss white.Specifications:• Color: Hammered Wh..